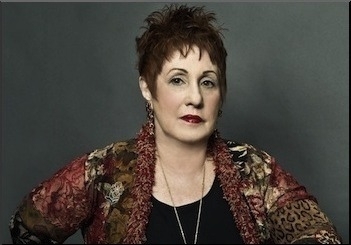 Originally published under the title, "The Litmus Test Of Political Correctness Is One's Stance On Israel': An Interview With Pioneering Feminist Author Phyllis Chesler." Holding true to one's principles – even liberal principles – in an age of political correctness can be dangerous. Just ask Dr. Phyllis Chesler. Once a highly regarded feminist, today she is persona non-grata in left-wing circles. Her crime? Defending Israel and criticizing Islamic societies for their treatment of women. Chesler was born to an Orthodox family in Boro Park, Brooklyn in 1940 and is the author of 16 works, including The Death of Feminism (2003), An American Bride in Kabul (2013), and, most recently, Living History (2015). In recent years you've been increasingly associated with conservative circles, yet you're still very much a feminist, aren't you? I remain a very live feminist, but what has died in the feminist movement is the vision of universal human rights and what has taken its place is this multicultural relativism in which anybody formerly colonized, not white, preferably Arab, and, most importantly, Palestinian, quote unquote, is the victim de jure – the victim uber alles. You write in Living History that at a certain point in your career you "lost most of [your] intellectual and feminist friends." When did that occur? When I published the 2003 version of The New Anti-Semitism, for the first time in my career, a book [I had written] was not reviewed. It was ignored by the mainstream media – the very media where I was once very prominent. "The litmus test for political correctness is where you stand on Israel." And any number of feminist friends were angry, shocked, or, at best, silent. Then I began to publish in conservative venues because they were the ones who applauded The New Anti-Semitism, and I was castigated severely by my friends. They said, "You're making alliances with right-wing Christians and Jewish conservatives." And I said, "But you're making a perfect storm of an alliance with misogynist, Islamist barbarians." How can America defeat Islamists, considering that they are so dispersed geographically? Should we go to war against states like Saudi Arabia and Iran that fund radical Islam to the tune of billions of dollars? Should we stop all immigration from the Middle East? What should be done? Let me say a number of things. I work with Muslims who are dissidents and Muslim feminists who are anti-Islamist. Having said that, the majority of Muslims [are] just like the majority of Germans under Hitler. Yes, they themselves may not act on their beliefs that infidels should be killed, but they're guilty because they're bystanders. So what do we do? The first thing is we have to tell the truth and it has to be repeated as often as necessary. The second thing is we have to influence legislators about immigration. I'm happy to have America give asylum to the victims of Islamic persecution – Christians and females. But I'm not happy to allow in fanatics who are about to bring this country down. We therefore need to have immigration people who are trained to tell the difference and to make very hard, firm decisions. And they have to be legally empowered to do so. Otherwise we will become like Europe. 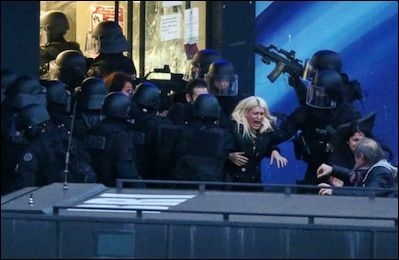 French police storm the Hyper Cacher kosher grocery store in Porte de Vincennes, eastern Paris, on January 9. What is your take on Europe and radical Islam in light of the recent attacks in France? Sometimes I think Europe has reaped a karmic destiny. It was complicit in the murder of six million friendly, non-violent Jews, and for that crime it has now reaped a whirlwind of many, many millions of very hostile Semites who wish to take Western civilization down. Some conservative pundits like Mark Steyn believe Europe is lost – that hostile Muslim immigrants will take over the continent within the next century by virtue of their high birthrate. Do you agree? Well, the demographics are against Europe because as women become more educated and men become progressive about women's rights, the birthrate goes down. If you're not under siege, this is fine – you have two children instead of eight. But if you [accept within your midst] a culture that believes in polygamy and believes that a woman should have eight children, your country will be flooded. Now that doesn't mean we want to force white Caucasian women to breed, breed, breed, but it does raise questions about immigration, deportation of radicals, restriction of access to radical mosques, etc. It also raises questions about using European laws to punish very seriously honor and shame crimes committed on European soil. You write in Living History – in reference to standing up to radical Islam – that people would "rather live on their knees than risk dying on their feet." Can you elaborate? Jews are an anxious group – understandably, given the millennia of persecution – and want to have no trouble. They don't want to bear the burden – or glory – of having to support a Jewish state that has been demonized into pariah status. They don't want to spend their lives fighting. They don't want their salaries risked. They don't want to receive hate mail. They want to have opportunities and take vacations. Anyone who takes up Israel's cause is demonized as a "Zionist," a "conservative," and a "Republican." I mean, these are all curse words. And once [you defend Israel] – even if you are a staunch civil libertarian, as I am, or a committed feminist, as I am, it doesn't matter – you have crossed the line of what is permissible and nothing you say thereafter will be deemed credible. The litmus test for political correctness is where you stand on Israel. Why, in your opinion, do many liberals focus on the occasional Muslim killed in self-defense by Israel when Muslims are killed in far greater numbers in so many other places, such as Syria where more than 200,000 people have died as a result of the ongoing civil war there? It's a good question, and I think part of the answer – the darker part of the answer – is nobody really cares about Muslims. The world doesn't care about barbarians vs. barbarians, or Muslims vs. Muslims or persons of color vs. persons of color – just as in Ferguson and Baltimore nobody really cares about the black-on-black crime. They care only if a white policeman is killing a young black man. In addition, it's a psychological defense mechanism. Rather than focusing on real genocide committed by Islam in terms of religion and gender – which is a bigger and harder problem to solve – you focus on the tiny, not totally perfect, state of Israel. That way, people don't have to feel helpless in the face of terrorism or barbarism but rather can feel: "If only Israel were abolished, everything would be okay." In your 2013 book, An American Bride in Kabul, you reminisce about your marriage to an Afghani Muslim 50 years ago. How did a nice Jewish girl from Brooklyn wind up eloping with a Muslim to Afghanistan? I was a born rebel. In 1948 in Boro Park, where I grew up, I joined a left-wing Zionist group, Hashomer Hatzair, which envisioned a mystical, political, and harmonious union between Yishmael and Yitzchak. Perhaps that concept reverberated with me over time so that so that my guard was not up as it should have been. But I was not openly rebelling by the time I got involved with this man. I was a child and I knew no danger and it was a great adventure. I had no intention of staying in Afghanistan, nor did I wish to get married, but he said, "Well, I can't introduce you to my family and we can't travel the world unless we are married," so I said, "Well, all right." It was a civil ceremony that meant little to me. However, once we landed there, they took my American passport away and I became a citizen of no country and the property of a very large, wealthy polygamous Afghan family. And this is a man whom I met in college – very urbane, very sophisticated, very well spoken. We never once discussed religion. He had no problem with the fact that I was Jewish. It's something that no one talked about in 1960 in America. Islam was not taught anywhere in colleges, and I did not understand how wild [that part of the world] really is. I was not prepared and was held captive for five months. I came back and literally kissed the ground when I arrived at JFK, which at the time was still called Idlewild, something I've only done once since – on my first visit to Israel. How did you manage to get back to America? I nearly died in Afghanistan. I was very ill with hepatitis. I had made many escape plans, all of which failed, but at the last minute, my then-father-in-law gave me an Afghan passport. He probably didn't want a dead American kid on his hands and clearly his son, my husband, was not letting me go, so he let me go. I'd say I got back because I was blessed by God. And maybe it was all bashert because otherwise how could I understand the Jew-hatred that's endemic in the Islamic world? How could I teach it at this moment in history? And how could I know what I know about the burqa and women in the Islamic world had I not been there, had I not witnessed it and endured some of it myself? So maybe this was all part of some divine plan. Elliot Resnick is a Jewish Press staff reporter and author of "Movers and Shakers: Sixty Prominent Personalities Speak Their Mind on Tape" (Brenn Books).